Unfortunately, many people choose potentially dangerous or ineffective products including some prescription drugs and topical medications for acne that have well known sideeffects, and forget about alternative choices like natural acne treatments and natural home remedies. Many chemical drugs as well chemical ingredients and additives in over-the-counter and prescription acne medications may even carry more health concerns when used long term (and acne often requires a long term treatment). But the good news is, getting rid of acne naturally is possible. 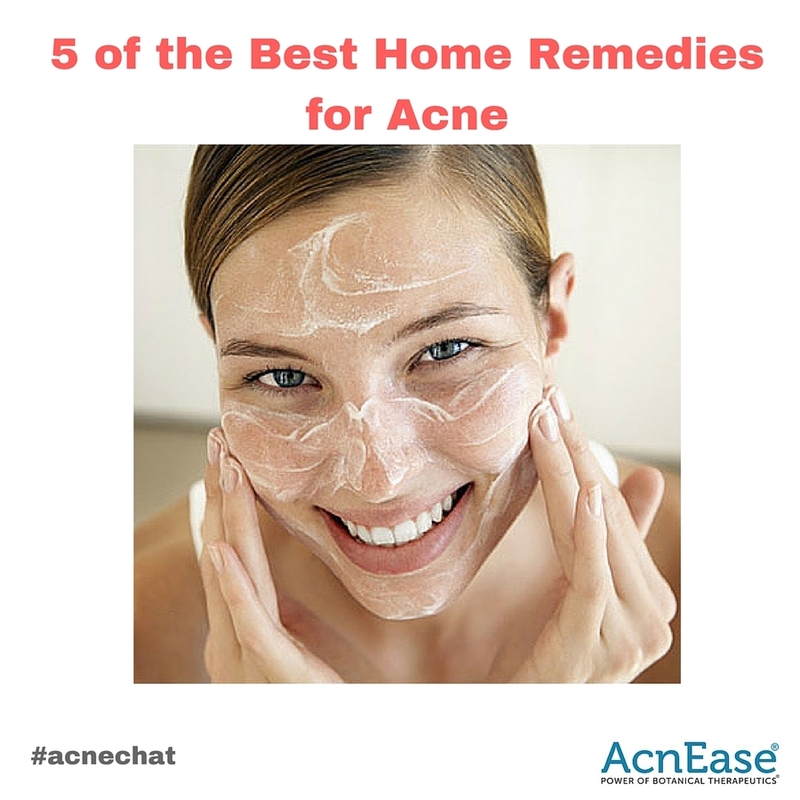 Our AcnEase users know this truth: Acne will not go away simply by using home remedies. A treatment is needed due to the nature of acne, since it is an internal problem caused by the sebaceous glands overproducing sebum (skin oil). And this is also why acne doesn’t stand a chance against our botanical acne treatment (with a 96% user success rate we might add). Home remedies however can significantly help in your journey to get clear skin, so here are some of the best to get you started. Not only is green tea healthy and delicious to drink, but it can also be very beneficial for your skin. Naturally fortified with EGCG and polyphenols, this tea pumps your body with antioxidants and nutrients to fight acne outbreaks. Topical use of green tea reduces sebum production and protects against acne-causing bacteria. And its high antioxidant concentration eliminates the free radicals that lead to inflammation. Simply add 2 tablespoons of loose green tea leaves to one cup of boiling water. Allow the tea to steep for 10 minutes, then cool, and use as a daily wash. While you’re at it, drink one to two cups of green tea per day for the general anti-inflammatory benefits! Many commercially-prepared astringents contain strong—oftentimes synthetic—solvents such as isopropyl alcohol and/or acetone. These ingredients can have a very drying effect and further damage acne-prone skin. On the other hand, handcrafted, herbal astringents are gentle and restorative. Because thyme has a greater antibacterial effect than standard concentrations of benzoyl peroxide—the active ingredient in most anti-acne creams or washes—it is highly effective when used in this preparation. Additionally, thyme’s primary actions include (but are not limited to) being anti-septic, anti-viral, and antioxidant. Strain the mixture and reserve the herb-infused witch hazel. The astringent is ready to use at this point. Label each bottle with the name, date, and contents and keep in a dark-colored glass bottle for approximately up to 1 year. Use as you would any commercially-prepared astringent product. This herbal astringent does have a long shelf life and does not require refrigeration. Facials are used to draw a fresh supply of blood to the skin and stimulate circulation to the facial area. They are excellent for cleansing the pores and healing acne. Facials also help tone and firm the skin. With these 3 powerful ingredients you’re just moments away from providing a most effective and nourishing experience for your skin. Honey makes an excellent facial for all skin types. It is a natural disinfectant and it nourishes and cleanses the skin. It brings fresh blood to the surface, removes impurities, and soothes and softens the skin. Tea tree oil has beneficial antibacterial, anti-fungal and anti-inflammatory properties, making it perfect for healing acne. It also reduces redness and swelling that results from inflammation. Known for its anti-inflammatory properties, arrowroot tea not only aids in digestion but it also aids in clear skin. It soothes the stomach and replaces vital nutrients that are lost when digestive issues arise. Digestive issues can contribute to skin ailments, so this tea can be very helpful for acne sufferers. Blend ingredients well and apply to cleansed skin. Leave on for 5 to 10 minutes and then rinse off. A facial steam is a great herbal remedy for deep-pore cleansing. Here are two recipes—choose which one is best for your skin. Mix all herbs together, adjust the amounts to suit you, and store in dry, airtight glass bottles. Bring two to three quarts of water to a boil in a large pot. Add a healthy handful of the herb mixture and let simmer with the lid on for just a couple of minutes. Remove the pot from the heat source. With a large towel, completely cover your head over the pot of steaming herbs (please be careful not to get too close as to burn yourself!). Enjoy this minisauna. It does wonders for the skin! Immediately after you complete your facial steam, rinse your face with cold water and mist with rosewater. Then, gently pat dry. Burdock root (arctiumlappa) is a herbal supplement that’s widely used for detoxification and purifying the blood. 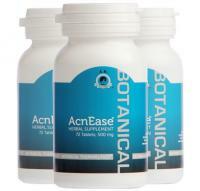 It has also been shown to reduce chronic inflammation, the number one cause of acne. Burdock, otherwise known as lappa or niu bang zi, is one of the most well-known detoxifying herbs used in Western and Chinese herbal medicine. While further scientific research is needed to confirm burdock root's efficacy in treating complexion problems, it has a lengthy reputation as a folk remedy for boils, abscesses and acne. A warm cup of burdock root tea is as nourishing as it is healing! Take a pinch of dried burdock roots in a teapot with boiling water. Steep for 3 minutes. Strain out the infusion into a cup. Add organic sugar or honey if needed. Fancy yourself a tea person? Or do you love to pamper yourself with a DIY spa mask? Let us know in the comments which herbal home remedies are on your list to try!